I’m a firm believer in menu planning as a way to save a lot of money. I won’t get into the details here, but being committed to a weekly menu saves us hundreds of dollars a month and helps me to always be prepared to cook healthy, home cooked meals for my family. For awhile, I was the only one who knew what we were eating for dinner every night, and my husband never really cared the he was in the dark, until the one day I posted our menu for the week – he LOVES it! Although my girls can’t read yet, they often look at the board and ask what we’re having for dinner, so I know as they grow up they’ll love it as well. 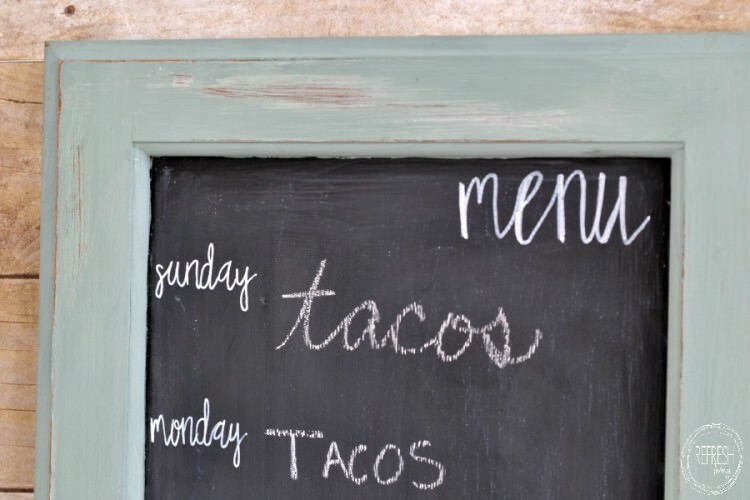 The best part of my DIY chalkboard menu board is that it cost virtually nothing! I found an old cabinet door at my local ReStore, but I’ve also found them at garage sales, thrift stores, and on the the side of the road as trash. I’ve also used old picture frames and just painted the glass, just be sure you use this type of chalkboard paint , it’s the only type that I’ve found to work on glass. 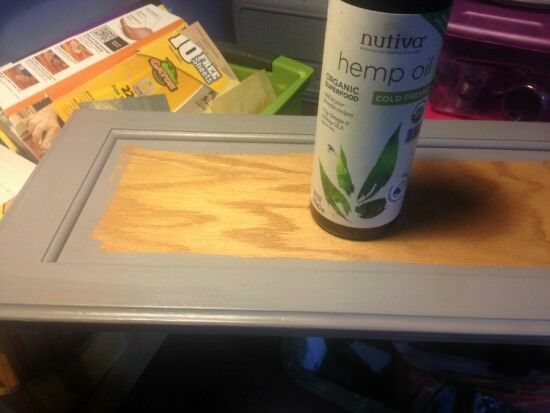 I filled in the knob holes with wood filler and after it dried, I painted the base coat on the frame, and then used hemp oil, one of my favorite ways to distress paint to show a second layer of color. 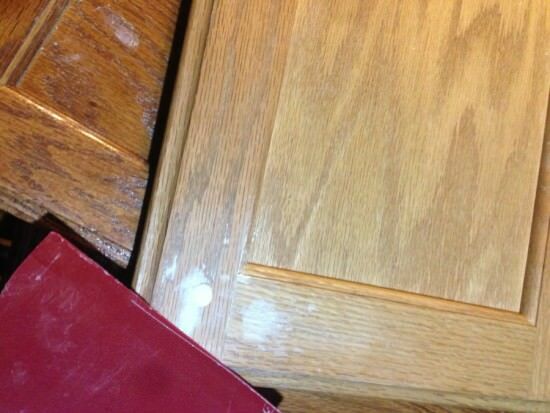 I painted the second color on top, and lightly sanded down the places where I had added the hemp oil. Then, I painted the inside of the cabinet doors with two coats of chalkboard paint . After everything had dried, it was time to write the days of the week. The trouble is, whenever I try to paint neat lettering on anything, it looks horrible. Thankfully, I’ve learned a couple of easy ways to take something that has been printed from a computer and make my letters look exactly the same. 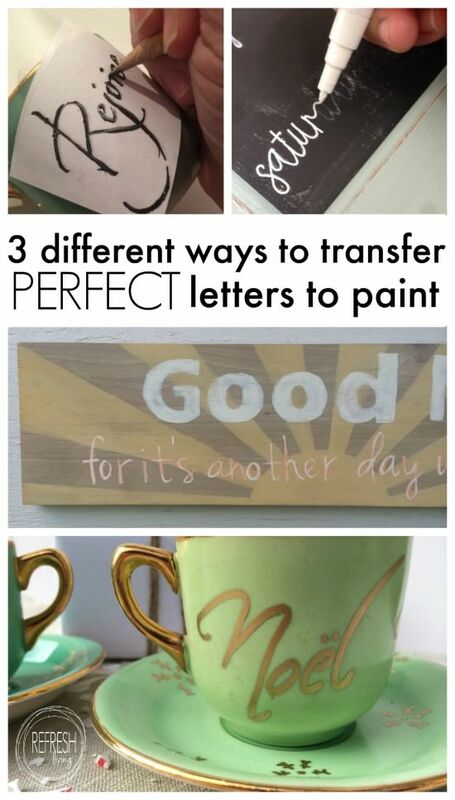 I’ve used these techniques a lot and mentioned them in a lot of different posts, but I finally wrote a whole post devoted to the different ways to get perfect letters on our projects. If you want to try your hand at perfect handwriting, you should check it out. After I painted in the words with a paint pen , I let it dry and then seasoned the chalkboard by rubbing the chalk on its side, and then erasing it all. 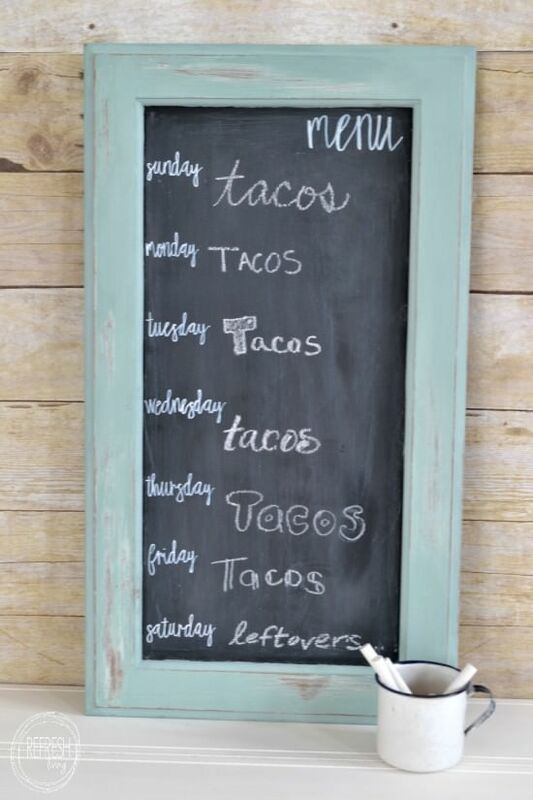 If it were up to my husband, he’d have tacos every night, so this week’s “menu” is for him! I wrote this on all of my menu boards at the last pop-up markets I sold at, and people seemed to enjoy it. In fact, the four menu boards I made sold out within the first 30 minutes! Needless to say, I’m planning to make more for my upcoming markets this year. 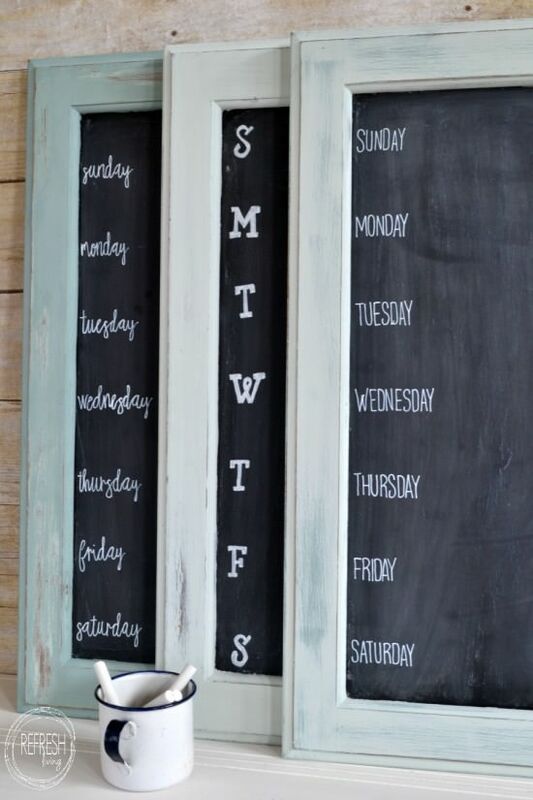 Instead of a menu board, it could also be used as a weekly event or reminder board, too! This is a great idea, Jenny! Love the variety in your dinner menu too :). Who wouldn’t love tacos every night, right? Oh wait, everyone except my husband! Great idea, it’s no surprise they all sold so quickly. Thanks for sharing at Talk of the Town. 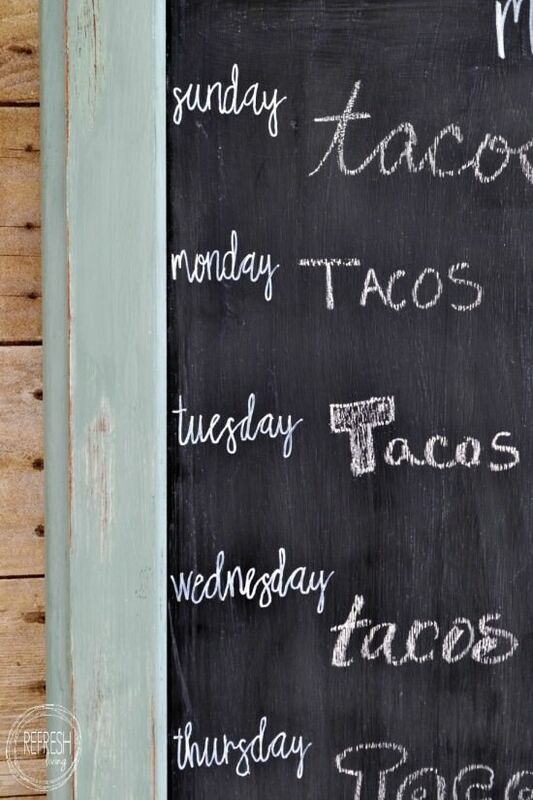 By the way…I could eat tacos every night of the week! Thanks, Betsy! I thought my husband might be the only one – that’s a lot of tacos!! Thanks for stopping by, Megin. I’m glad you like them! Love this! It turned out so great. 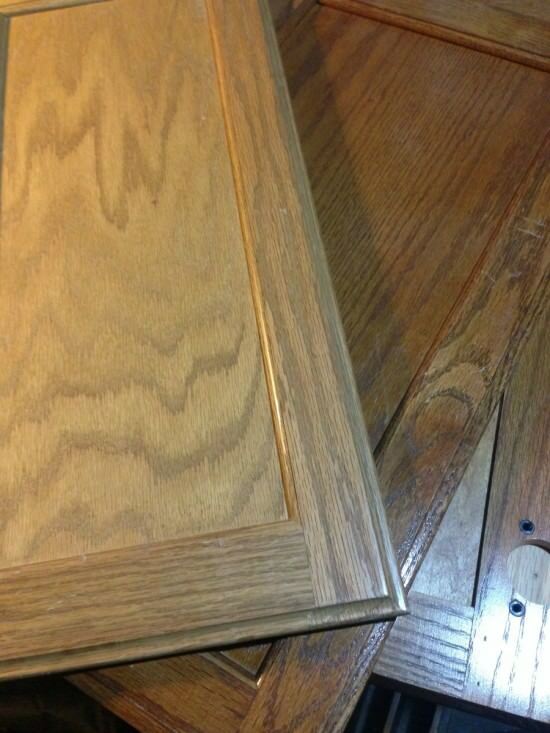 Now I need to get my hands on some cabinet doors! Pinned. Thank you so much for sharing, Kati! 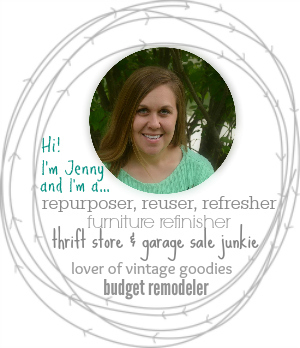 What a clever use for an old cupboard door, Jenny. A nice hard surface for the chalkboard and it’s already framed out. 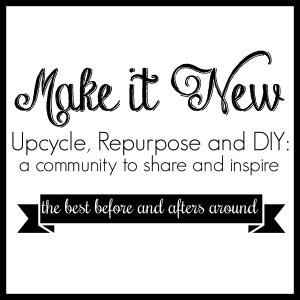 I really like the shade of gray you chose and appreciate you sharing the variety of ways to do the lettering 🙂 Thanks so much for linking up your projects with Vintage Charm! Thanks, Diana! 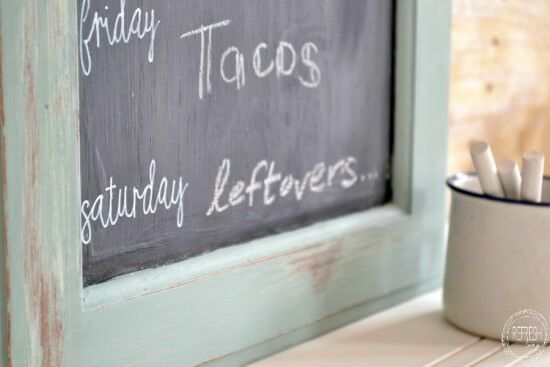 Yes, everything about a cabinet door makes it perfect for a chalkboard! 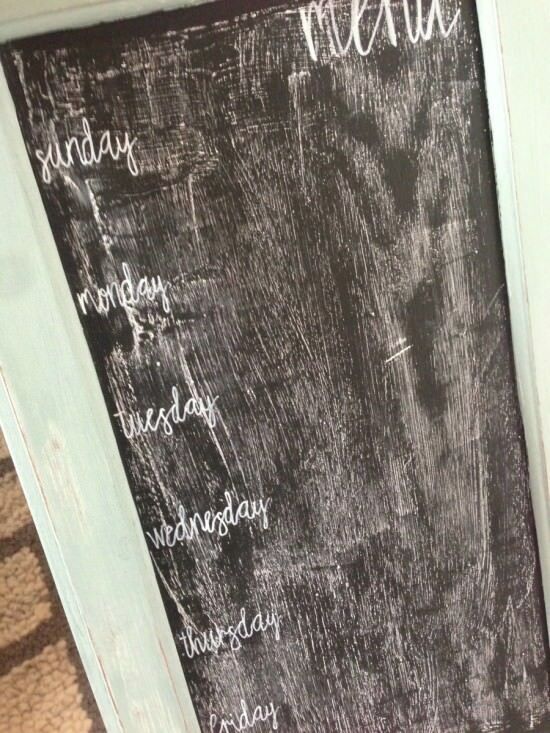 Awesome chalk board. Love this idea. Think I cann’t handle this. Anyway, could give it a try. 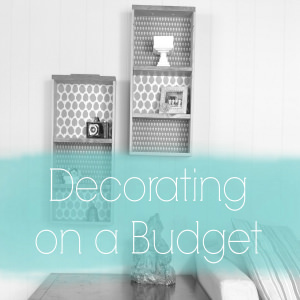 Love this DIY project.